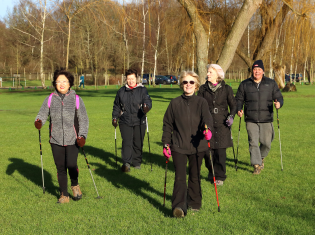 Nordic Walking - The perfect exercise! Combines aerobic, strengthening and conditioning exercise, with the added bonus of open air. Courses in various locations in and around the green spaces of Hillingdon. Courses from £28 including hire of top quality Leki walking poles Spaces limited - Please contact for details.